SmartWorx Sidekick File Cart holds letter size and/or legal size hanging file folders and transports them where needed. Locking top panels slide out of the way for full access to files or can be used as an auxiliary work surface. Bottom shelf holds paper and supplies. Cart is made of durable steel and wire construction. 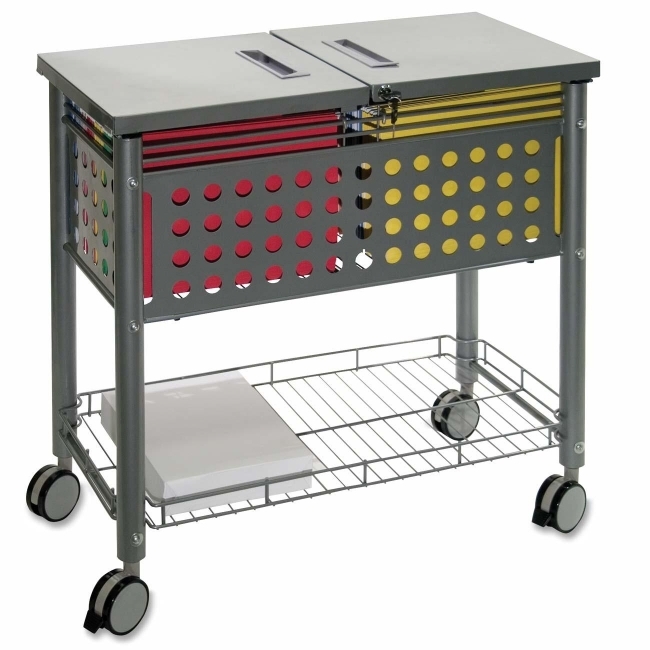 Mobile deskside file cart moves on four twin-wheel casters (two locking).